Buying shares that are out of favour is a favourite strategy amongst contrarian value investors. However, in recent times it is not one that has worked particularly well. In fact, much more success seems to have been had with momentum strategies. 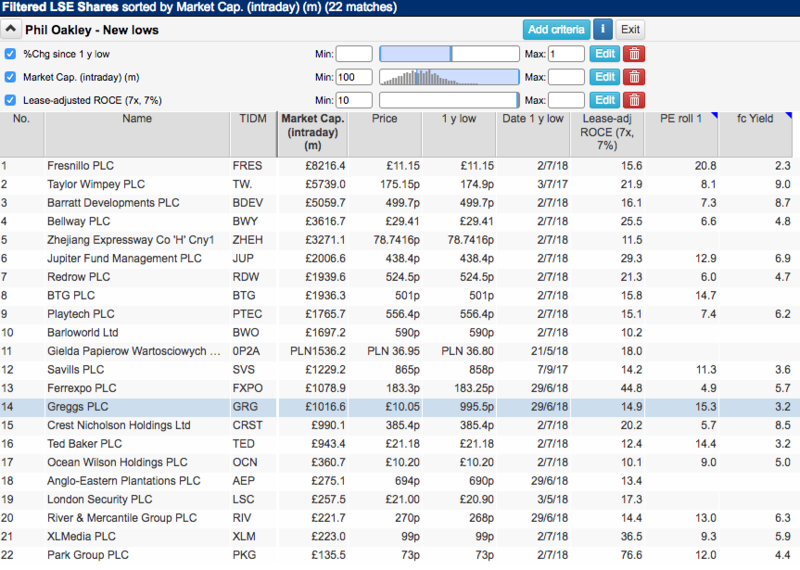 These involve buying shares that are very popular and, in many cases, have been hitting new highs. Yet, looking for shares that have been falling and hitting new lows can be a fertile hunting ground for investors. What you are betting on is that the level of pessimism reflected in the current share price has been overdone. When investors eventually see that things aren’t as bad as they feared the share price recovers and they can make healthy profits. This is all well and good in theory but buying shares just because they have fallen in price can be a very risky strategy. The stock market rarely gives away free lunches – except perhaps during times when the market in general is falling – and a falling share price tends to mean that there is something about a company that investors are worried about. The successful investor has to take some time to understand the companies behind share prices and work out whether the fall is unwarranted and overdone. One popular screen for distressed shares is based on looking for ones where the share prices are at or near their one year low. As with many approaches to screening, there are things that you can do to modify them and attempt to avoid bad companies and riskier shares. Depending on market conditions this screen will probably throw up a lot of bad companies where the share price fall could be perfectly reasonable. To steer yourself away from these kinds of companies you can add some additional criteria to your screen in order to look for higher quality companies. This is what I have done with the SharePad screen shown below. 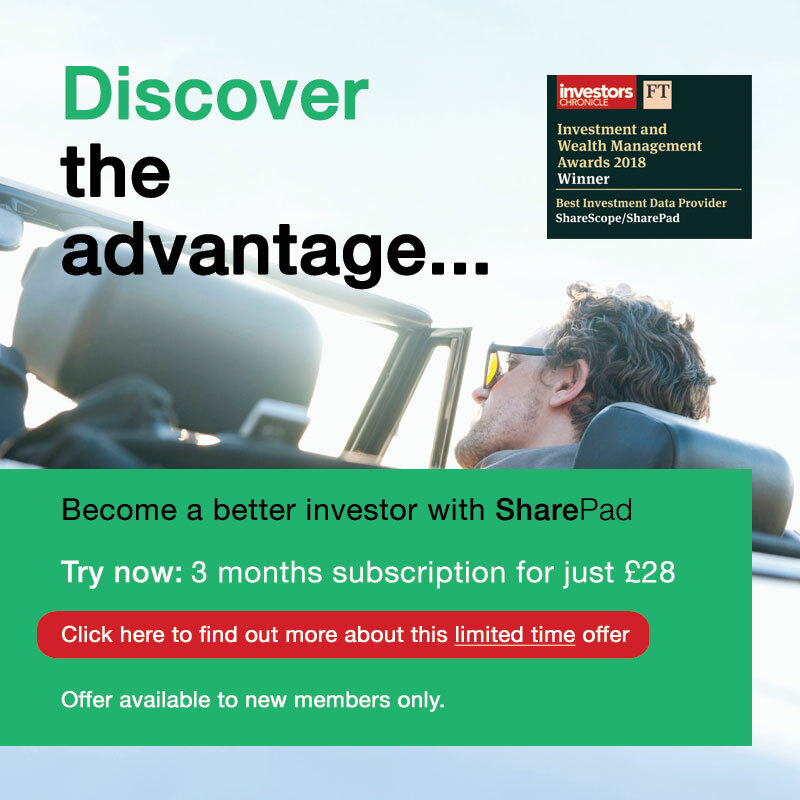 Here, I am looking for companies where the share price is within one per cent of its one year low but where the business behind it has been reasonably profitable. My criteria for a reasonably profitable business is a lease-adjusted return on capital employed (ROCE) of at least 10%. To give some more useful information, I’ve also added some extra columns to the results table which tell me the one-year low price, the date of the one-year low and some simple valuation measures such as the one-year rolling forecast PE and the forecast dividend yield. The screen throws up some interesting companies. Housebuilders feature prominently due to concerns that the days of big profits have come to an end. Mining companies such as Fresnillo and Ferrexpo reflect issues regarding the high cyclical nature of their businesses and exposure to commodity prices. XL Media has many fans amongst private investors on my Twitter feed and is a very profitable business. As I have written in one of my recent weekly newsletters my issue with this company is that I don’t understand its business model well enough or whether it has a source of long-term competitive advantage. There are, however, a couple of other companies in the table above which could be interesting and worthy of further research in my opinion. Greggs is a business that I’ve liked for a long time. It sells bakery products, sandwiches and drinks at value for money prices which are attractive to customers. As it makes a lot of its own products, it is able to control its costs and sell at more competitive prices than many of its rivals. This business model has served it and its shareholders well. Its ROCE performance is much better than the returns being earned by the big supermarkets. Greggs’ problem is that it is seen to have too many shops on the high street which fewer shoppers are visiting. This raises concerns that it will find it hard to grow its profits in the future. But are Greggs’ future prospects really bad? Granted, the recent trading update was not too encouraging. There has been a sharp slowdown in trading caused by bad weather in the early spring and fewer high street shoppers. 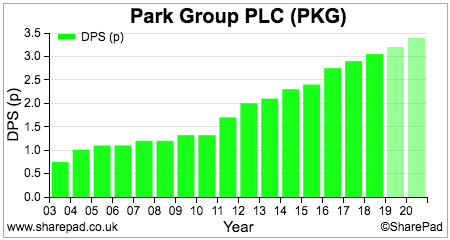 The slowdown in like-for-like sales growth from 3.2% for the first eight weeks of the current financial year to just 1.3% for the first 18 weeks means that LFL sales actually turned slightly negative (-0.2% according to my calculations) in the intervening 10 weeks. With underlying cost inflation in its shops, this suggests that underlying profitability is falling. Taking into account new shops being opened during the year, this year’s profits are currently expected to be the same as last year’s. There’s no doubt that being a high street retailer is tough these days. However, Greggs is gradually shifting its stores away from the high street towards transport locations where footfall is higher. You only have to look at businesses such as WH Smith (LSE:SMWH) and SSP Group (LSE:SSPG) which have a high exposure to locations such as train stations and airports to see that they are happier hunting grounds for retailers due to them having a more captive customer base. 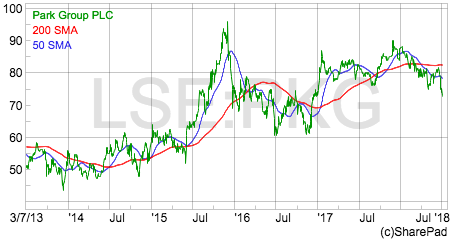 It’s undoubtedly going to take some time for Greggs to meaningfully change the makeup of its business, whilst some investors will quite reasonably argue that the shares are not yet particularly cheap. 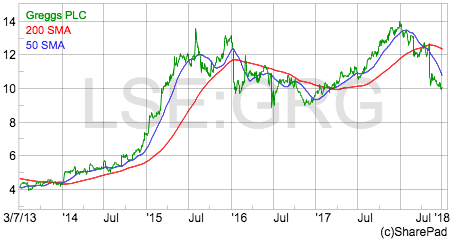 These issues aside, Greggs could be a share that at least warrants a place on some investors’ watchlist. In years gone by, Park Group used to make most of its money selling Christmas hampers. The business has evolved into one selling retail vouchers, pre-paid gift cards and Christmas savings schemes to consumers and business customers. This may not be the most exciting business out there, but Park Group has been able to chug along year after year. It is not a high margin business (just over 4%) but the investment requirements are low and cash generation has been pretty decent. These characteristics have allowed the company to deliver some reasonable rates of dividend growth in recent years and these are forecast to continue. Both its main businesses are trading satisfactorily and should be able to meet current forecasts in my opinion. With a forecast dividend yield of 4.4%, Park Group may also be worth a closer look.